There are a few emerging trends that support this optimism. A global urgency to move to low-carbon, and massive international investment in that. Wood in the built environment in preference to steel and concrete is already getting traction in many western economies, including Australia. It is sensible and likely that will also happen in New Zealand as a part of New Zealand’s transition. 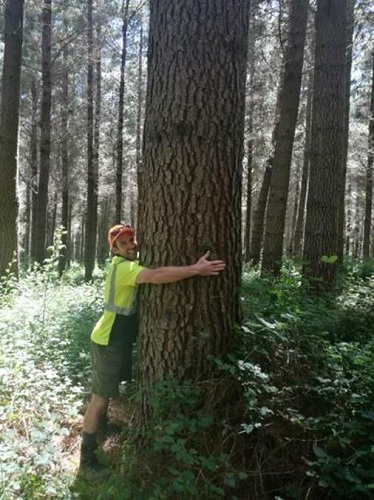 Trees can help NZ meet its Paris Accord carbon budget commitments, without full reliance on importing international units at unknown future availability or price. Forest growing is a profitable and sustainable land use that offers good diversification and economic resilience for NZ farmers. Well located and managed forests are consistently generating a higher return to the investor and to national GDP per hectare than dry stock pasture on our hill country. And that is before we factor in carbon credits or other environmental benefits. The outlook is for on-going strong demand for pine logs and lumber in growing Asian economies, particularly China that is moving to reduce its own domestic harvesting to protect soils and biodiversity. There is a growing realisation that protecting and enhancing our major export earnings in tourism and safe healthy food relies on our Pure NZ green market brand having real substance. Policies that clean-up New Zealand’s deteriorating fresh waterways are gaining acceptance by both the urban and rural voters. Forestry is an obvious adjunct to meeting catchment N & P discharge limits, allowing intensification of pastoral farming on the better classes of land. Mechanisation of harvesting has made great strides in the past 3-4 years and this trend is continuing, with resultant productivity and safety gains. In-forest jobs and the supporting roles in transport, logistics, port services and wood processing are all becoming hi-tech skilled roles. This should make forestry as a career choice more attractive for the new “millennial” generation workers. We just need to tell the story. R&D into forest health, protection and productivity is in the best shape it has been for a decade or two. R&D is now well-supported by growers via the Forest Levy Trust and Scion has recruited new scientist teams and continues to invest heavily in its own facilities to deliver on key research opportunities. Productivity gains from improved genetics, measured by LiDAR imagery using satellites and UAVs is already showing gains that flow through to cash returns and forest values. Mapping of the radiata pine genome and the ability to relate DNA SNIPS to growth and wood quality characteristics will speed up future genetic gain. It is, however, evident that to achieve more tree planting, especially profitable forestry investment in the right locations that can also support investment into international scale wood processing, will require some policy help and leadership from government, given that trees and pasture compete for land. Getting the balance of land use right will require policies that better align private land use investment decisions with what is best for New Zealand Inc.